Group Vacations. We all love the sound of them: taking your closest friends off with you on your travels, and having the best time of your lives exploring ancient ruins and integrating into the city nightlife, and then crashing out in a hotel suite altogether and not waking up until the time you actually have to check out the next morning. Whenever you think about it, it sounds like such a good idea, and you’re excited to get your whole group involved in the planning process. But when you actually present the idea to them, no one can agree on what it is they’d like to do, and there are at least a thousand different suggestions for where you should actually go! And slowly your excitement ebbs away, and more often than not, the plans go completely awry and you wait until next year to bring the idea up again. It’s a very annoying time in your life, especially when you’ve only got a couple of weeks off of work, and you’re meant to be enjoying the time off. So let’s think about what kind of things you can do to get these group vacation plans to go off without a hitch – there’s some out there! Talking about How Do You Plan A Group Vacation Everyone Will Love. If you’ve got an entire group to keep in line, and there’s at least 5 or 6 of you, you’re going to need to set a few deadlines. You’ll need to keep everyone on the same page, and you’ll need to make sure no one is worried about falling behind – you’re the planner, and that means you’re the one who sets a pace for the rest to follow. You might be a group of equal people, but to get these vacation plans off the ground, there needs to be a clear person in charge! Set a deadline for when payment needs to be in, seeing as you’re going to be splitting the bill, and everyone needs to foot their share. Set a deadline for deciding on the flight to take, and make sure you let everyone know what time they need to get up at and be out of the house by to make it to the airport on the morning you go away. And then set a deadline for when suitcases need to be packed, so no one is rushing to cram all the essentials, as they will ultimately forget half of them. Even have people drop their suitcases off at your house by a certain date, to make sure the baggage is all packed up and in the boot of your car in time for the day you leave! Talking about How Do You Plan A Group Vacation Everyone Will Love You find versatile Accommodation and that means a hotel or an Airbnb that caters to everyone’s tastes. By nature, these places are a lot more personal, have a lot more to offer, and they’re lax on their curfews. So the person who likes their privacy, the person who likes their creature comforts, and the party animal of your group are all taken care of. Check out these Margaret ville details if you’re headed out on a long haul flight and need somewhere comfortable to touch down in after you arrive. You might be friends, but being stuck together on a 10+ hour flight will really get you considering each others’ flaws. Renting an accommodation solution like this will really help to emphasize the personal space you’re each going to need whilst you’re away! So, you’ve got people with different tastes and different styles, and different drinking tolerances and different physical staminas – how on earth are you meant to get them all interested in the same activities? Short answer, you don’t! It’ll be a lot easier and a lot more fun on everyone involved if you keep the itinerary on an open plan. This way, you’ll be able to pick and choose the day’s activities as the mornings come around. You’ll be able to change your minds whenever you please, and you won’t have booked anything in advance, so there won’t be any chance of you losing your deposit money either. You can eat at any restaurant or street vendor you want, and you can drink in any kind of underground club or rooftop bar you like. 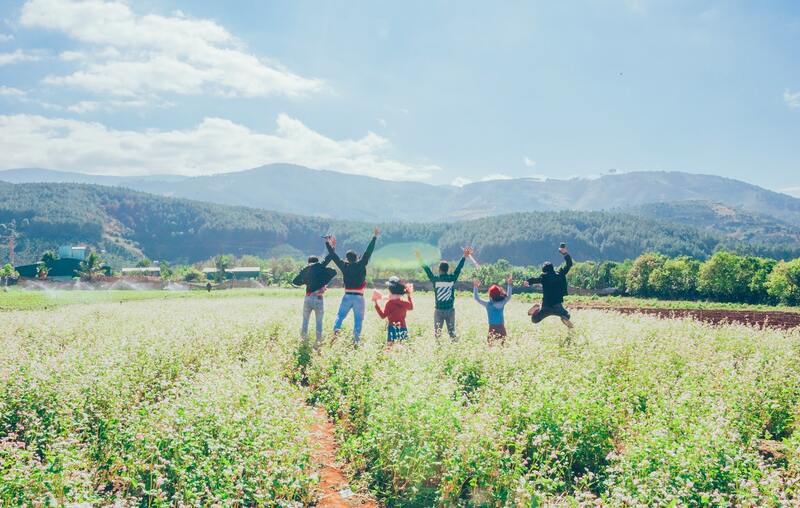 Talking about How Do You Plan A Group Vacation Everyone Will Love, Planning a group vacation can be hard work, but it doesn’t have to be impossible. Pick up the plans you had last year and remind your friends – it’ll be an experience none of you will ever forget!